Welcome to the Website of Hamden Attorney Paul H. Begemann! Do you need to know the closing costs for a real estate closing? Do you want to know what you will pay for a legal fee and title insurance for a real estate closing in Connecticut? Are you refinancing and want to know how much the closing will cost? Visit the "Get a Quote" page to easily and quickly get a quote on your real estate closing rom an experienced, reliable local real estate attorney, experienced with all resiential and commercial real estate closings in the New Haven and Fairfield areas of Connecticut. Attorney Begemann is an experienced real estate, title insurance, closing and business attorney who provides professional legal services to individuals and small businesses in New Haven and Fairfield Counties, Connecticut. His main office is conveniently located in Hamden, CT in the heart of New Haven County, nearby to the communities of North Haven, Cheshire, New Haven, East Haven, West Haven, Wallingford and is easily accessible from Routes 91 and 15. Paul provides his clients with direct, personal service at a reasonable fee. He provides clients with easy electronic and personal access and a timely response to all inquiries. Residential Real Estate Closings for the purchase, sale, refinance and lease of residential and commercial real estate in Connecticut. This includes the purchase of foreclosed properties as well as representing sellers or buyers in short sale transactions. 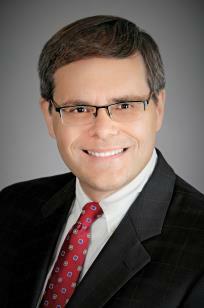 He is also experienced in residential and commercial leasing transactions. For more information on residential real estate closings, how to protect your interests and how to save money, contact Paul today. No one should have a real estate closing without the protection provided by a real estate lawyer. Mortgage Refinance Closings for borrowers and lenders all across the state of Connecticut. Refinance loan closings can be conveniently performed at Attorney Begemann's office conveniently located, with ample fee parking, on Whitney Avenue in the Mt. Carmel section of Hamden, or at locations in New Haven, Fairfield, Stamford, Hartford or at a mutually convenient location. See Attorney Begemann's mortgage refinance information and rates page for specific information on how Attorney Begemann can save you money on your refinance closing and how to obtain a customized quote for your mortgage refinance closing, including the attorney's fee and title insurance rates and all available discounts for you to save. Get a Quote now! Business Law - Business formations such as creating a Limited Liability Company, and business acquisitions and sales, including business purchase agreements. Attorney Begemann is an attorney experienced in all aspects of real estate law and corporate law, with many years of experience working in the title insurance and mortgage lending industries. Please click for more information on his background, education and experience, the areas in which he practices, helpful information on some real estate transactions including information on refinancing fees and costs (including title insurance premiums) and some helpful links. Contact Attorney Begemann today by email or phone, to discuss your Connecticut real estate closing or get a quote on your closing costs!